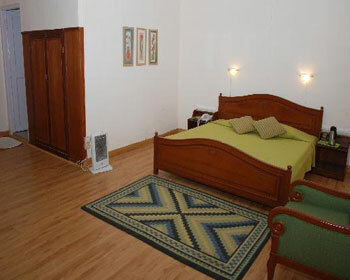 Looking for a comfortable family getaway accommodation option in Kasauli? 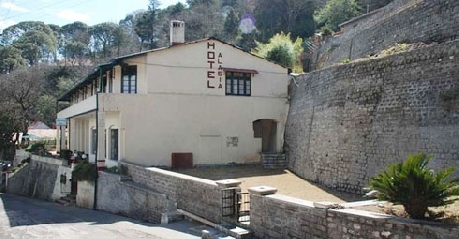 Well, your search ends here with Hotel Alasia. Alasia is popular two star property located in the cantonment area of the Kasauli town. Location is the key feature of this hotel, as it provides easy connectivity to major commercial and tourist spots of the region, while maintaining its presence in the secluded natural abode. Alasia has had a very rich history which traces back to the colonial times and the unique architectural style and décor is the standing testimony of this fact. The Hotel offers comfortable suites as accommodation choices to guests in three categories of Deluxe Suites, Luxury Suites and Family suites as per their requirements and budget range. The suites are have classic décor but are still equipped with all necessary modern comforts to make it an ideal vacation destination for families and group travelers. To cater to the culinary requirements of the guests, Hotel Alasia has developed an in house restaurant that serves mouth watering Indian, Chinese and continental flavors. Patrons can also choose to relax at the in house bar, which serves all popular Indian and imported wines. Apart from this, the hotel also has vast car parking area, laundry service, doctor on call facility, travel desk, high speed internet connectivity through Wi-Fi, recreational room with indoor games, on-site lawn for functions and events. To give a better glimpse of the local culture, the hotel also organizes bonfire night and folk art events on its premises. 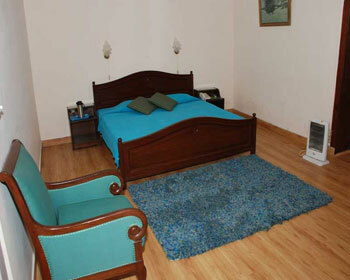 Deluxe Suites are the simplest accommodation choice offered by Hotel Alasia, Kasauli. These two room suites are designed by carefully by expert interior decorators to make sure that all the necessary amenities and features are incorporated in them. The décor is very simple yet elegant and complements the natural scenic beauty that surrounds the suites. The front room of the suite consists of the bedding and living area and is furnished with comfortable bed, sofa unit, coffee table and other items. The second room acts as a dresser and open ups space for an extra bed for children. The suites directly overlook the mighty Mountains and greenery which surrounds them. The Deluxe Suites are fitted with premium amenities like LCD television with DTH connectivity and subscription to premium channels, room heater, bathroom toiletries, high speed internet access through Wi-Fi, tea and coffee maker, room service, mini bar, telephone with intercom facility and many others. Offering perfect blend of lavish luxury and comfort; the Luxury Suites available at Alasia Hotel have emerged as a very popular accommodation choice for both local as well as foreign guests visiting the hill station. As the name suggests, the suites are tailored for patrons who seek lavish setup in their vacation staying choice. The Luxury suites have opulent décor and classy interiors that are inspired from local culture and are seamlessly fused into the modern design themes to give room a very gracious feel and appeal. The Luxury Suites consist of two room setup, with the front room acting as living are with large verandah, a fireplace and huge windows to let guests enjoy the beautiful mountains. The adjoining room is a very plush bedroom with an attached bathroom. Being a premium staying choice, the rooms are fitted with premium comforts and luxuries such as like LCD television with DTH connectivity and subscription to premium channels, room heater, bathroom toiletries, high speed internet access through Wi-Fi, tea and coffee maker, room service, mini bar, telephone with intercom facility and many others. Traveling with your family can be quite taxing, especially finding a place that caters to all the needs of every individual family member, but not anymore; thanks to the Family Suites available at Alasia Hotel in Kasauni. These Family suites are designed with the specific aim of catering to family and group travelers who look for an option that can provide enough space, comfortable setup and lavish décor. The Suite is divided into two rooms and a pantry along with a sit out verandah and private garden. 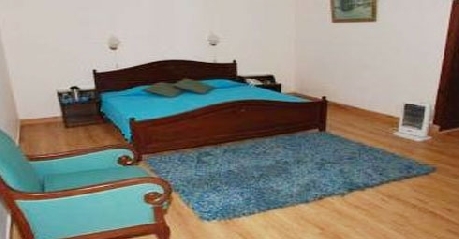 The front room serves as a living room with a bed setup whereas the second one also has a small bed ideal for children. The pantry is equipped with basic setup and small meals can easily be prepared here. While being very practical because of lot of space, the suite still offers majestic view of the scenic natural surroundings and majestic mountains. The natural beauty enhances the elegant décor of the Family suites and fills it with very lively charm. 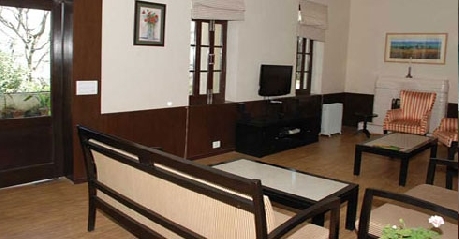 On amenities front, Patrons will find LCD television with DTH connectivity and subscription to premium channels, room heater, bathroom toiletries, high speed internet access through Wi-Fi, tea and coffee maker, room service, mini bar, telephone with intercom facility in their suites. 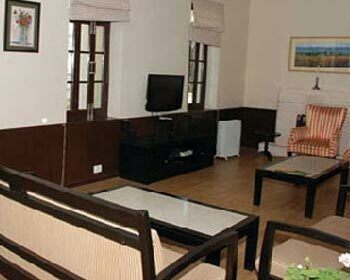 Located amidst the serenity and splendor of Kasauli, Hotel Alasia Kasauli is one of the finest Hotels in Kasauli. Run by the Hotz Group a much acclaimed name in the hospitality industry Hotel Alasia is favored for providing world class comforts, along with warm hospitality. A 100 year old heritage property, Alasia has been restored wonderfully into a luxury hotel par excellence. An idyllic holiday retreat for travelers out on a trip to enjoy the scenic splendor of Himachal, Alasia Hotel in Kasauli serves as the perfect place to enjoy a memorable sojourn and personalized services at reasonable rates. Add new and exotic flavors to your vacation by visiting the in house restaurant at Hotel Alasia in Kasauli. 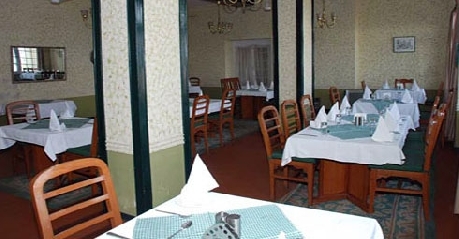 The in house restaurant is very popular among the guests because of its warm ambience, quality food, warm and affectionate staff and majestic views. The eatery specializes in serving quality Indian, Chinese and continental dishes along with exotic local preparations. Patrons are welcome to try the local delicacies that are prepared as per traditional recipes using organic ingredients and rare spices that bring out unique flavor of the dishes. The diner places maximum emphasis upon high cleanliness and hygiene standards, which further inspires confidence among guests. Looking to refresh yourself after a tiresome day, just head to the in-house bar at Hotel Alasia and you will be pleased. The bar is located on the premises of the hotel and sports very classy décor, which is ideal for a casual outing or relaxing evening. The well stocked bar serves all popular Indian as well as imported brands of liquor along with an assortment of cocktails and other drinks. Patrons can also complement their drinks with mouth watering snacks and finger food available here. In short, the bar is perfect place to enjoy the mesmerizing natural beauty with your favorite drink.